The stealing of electronic equipment such as Mobile Phones, Laptops and Computers is rapidly rising. Too many people reported that their laptop or desktop computer got stolen and they tried some alternatives but cannot find their lost PC. This problem happens to many Computer users. Then some also asks if there is some way to find a lost or stolen computer. There are a lot of people who have the same question. One of our readers also raised this question. Srinivas Rao asked that this is the main problem of a lot of computer users so explain if there is some working trick or method for this. And if it is not, which it will be, then you will have to try your luck and see if it works out for you or not. Actually, in this method, you need some help from police or some higher authorities. You will understand that why. 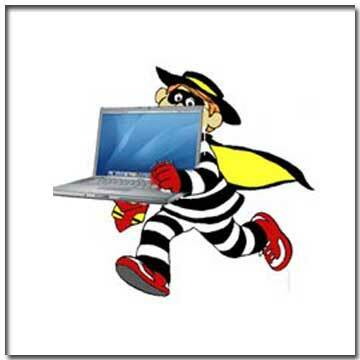 Following are the steps that you should take in order to find your stolen PC. First of all, get the IP address of your computer. You can do it by logging into Gmail account and see the recent activity at the bottom. You may get more information by clicking on more. It will be much useful if you have or find your PC or Laptop's MAC address or physical address. Now, here is the part where you need some authority. You need to find the exact location of the same IP address of your computer. You can do it by visiting or talking to your ISP. Mostly ISPs don't provide any personal data or information to strangers so you better have someone in their department or you can get help from Police. Now ISP will give you the location details and then you can find your computer easily.